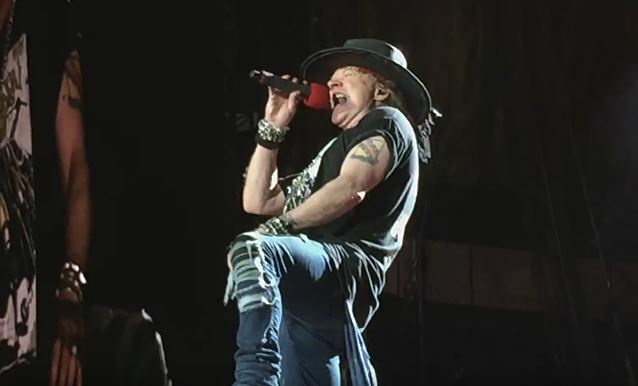 According to TMZ, former GUNS N' ROSES member Chris Pitman has settled his lawsuit against the band's lead singer, Axl Rose, over an unpaid debt for services the multi-instrumentalist provided to the group. Pitman claimed that Rose wrote him a promissory note for $125,000 that he was owed for over a year's worth of work. In the suit, Pitman said that Rose was supposed to pay up by October 2012, but failed to do so. Pitman wanted Rose to pay him more than $163,000 with interest, but apparently accepted "much less," according to TMZ, with the exact terms of the settlement remaining confidential.